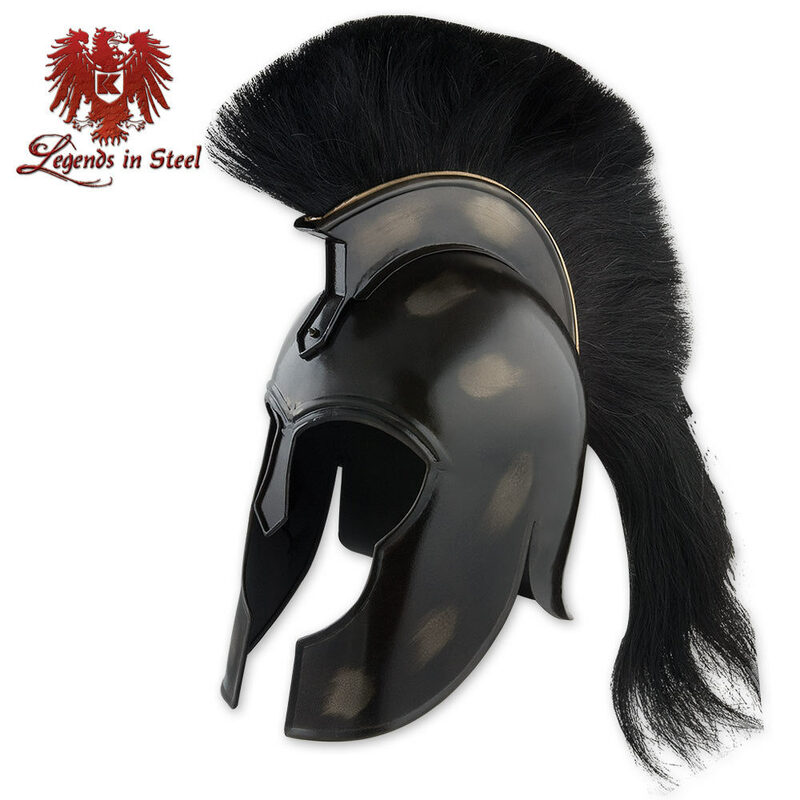 Black Coated Corinthian Trojan Helmet with Horse Hair Crest | BUDK.com - Knives & Swords At The Lowest Prices! 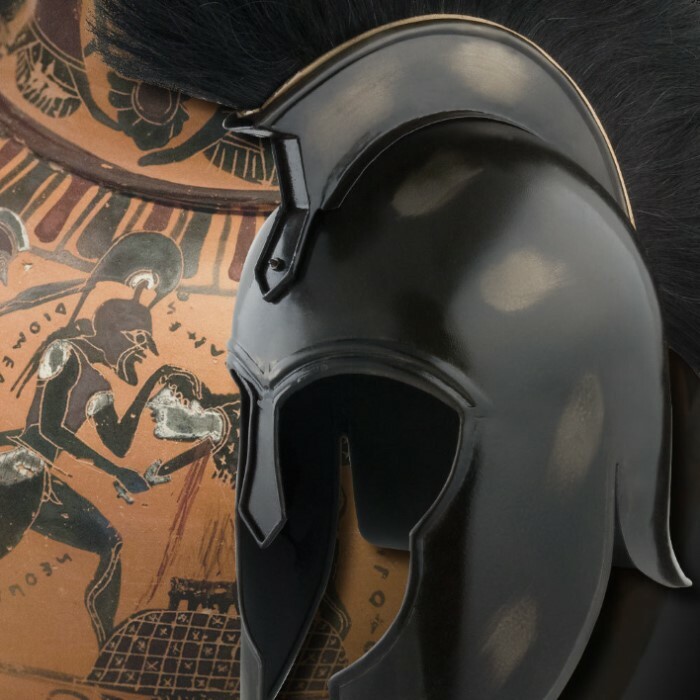 Wear the helmet of Achilles, ancient Greece's greatest warrior and leader of the fierce Myrmidons! This ready-to-wear helmet is crafted from an actual design used in the Greek city-state of Corinth. This excellent replica is hand made from carbon steel with a black finish. This item includes a removable black hair crest. This is a fantastic item for historical reenactors or serious collectors! I got this a while ago and it is always a conversation starter. I have engraved a celtic design on it and it looks amazing! good helmet i got mine not to long ago it came with oil all over it but once i cleaned it off it is verry well made not too heavy needed some padding on the inside mine came flat black im thinking about painting some details on it maybe. Otherwise, the helmet is and looks awesome. i recivws this helmet in the mail today and it was amazing, i love this and i am going to buy greek/roman helmets more often because of this helmet. It was in great condtion and only took 2 days to get to my house. I was very excited to get this helmet. It is poor quality and not up to BudK standards so I returned it. For $79.99 not a good investment and not something I would ever try to wear. The helmet is amazing but a little big and oilly. Nice helmet. Wear it on your motorcycle or when you are slicing. Editor's Note: Thank you for your comments. We have updated the review to reflect the appropriate materials.